I'm on the web for work, college, and my interests. I help run a fish keeping business that supplies lots of aquarium and pond products to many fish/reef keepers all over the world. We specialize in providing information based on long term experience in the field. It's safe to say that we have 1000s of people reading our information each day! I have my own daily blog for different things that are on my mind. I enjoy my family, psychology, and spirituality. My God is number 1, my wife number 2, and my boys are number 3. I'm on my way to get my Masters in Psychology and hope to earn my Ph.D. I love to share my thoughts and hope to interact with many different people in my life. The idea is, can light affect health of a fish? To take on such a question, we would have to have a general ideal of how to measure health of a fish and understand what might be causing the improvement or the decline in health. Being this back to basic chemistry 101, atoms can have negative charge, natural, or a positive charge. As these positive molecules build-up in the tank, we come to a point, where these build-ups can cause harm to the fish’s osmoregulation, which in turns affects fish’s immunity. These build-ups are oxidation and the reserve affect is reducers. Having too much oxidation can harm long term health. Having swings in oxidation and reduction can be harmful. The idea is too balance the aquarium, which is known in the aquatic industry as a balanced Redox Potential. 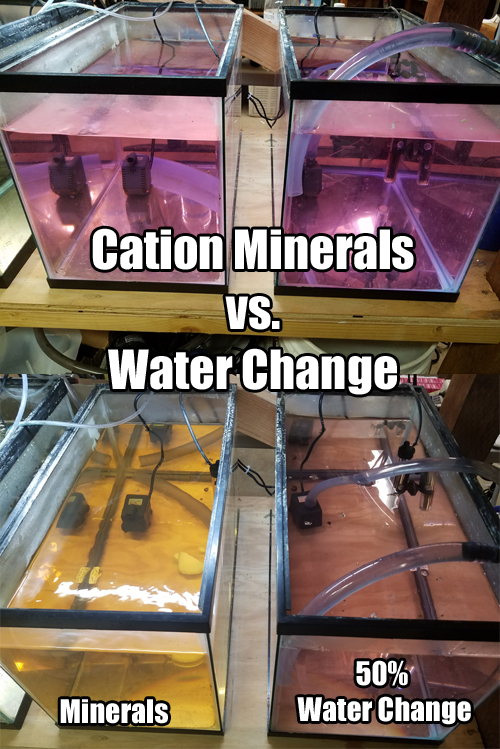 Anything which is added to the aquarium will affect the water electromagatism either in an up-shift of oxidation or either a downward shift in reduction. Fish detritus needs oxidation to be broken down, having too much reduction in the aquarium will not allow for decomposing of detritus. 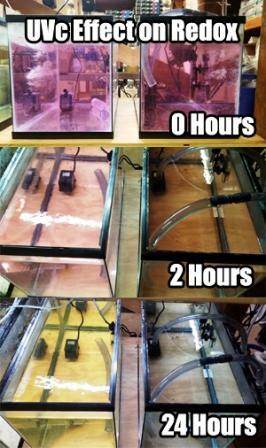 So, the best plan is to have good oxidation in the aquarium, with constant down-shifts of reduction. We don’t want to be completely oxidized or reduced. In this study, we explored if aquarium lighting acts as an oxidation or a reducer. Each day, the aquarium started out in a dark room, with a starting ORP reading. This reading was noted. The aquarium lighting was switch on, which is 24 watt of TMC AquaRay 6500K XB-D GroBeam lighting. The aquarium would sit in a normal lit room with the aquarium lights on. A second reading was taken towards the end of the day, about an hour before the lights were shut off. The second reading was noted. The aquarium lights were turned off at the end of the day and the aquarium sat in a dark room all night. The readings where then retaken the next day. The experiment was ran for about a months time. The large downshift at the beginning of the readings was a difference in calibration. The readings after the 29th were much more standard with the proper calibration. The rise for oxidation are not explained. The series of days is not explained, where there was oxidation instead of the normal reduction. There was overall a reduction affect when 6500K TMC lighting is applied to water with no other variables. While there was some days where oxidation happened, the overall affect of the lighting was a slight reduction every. Overall, the ORP reading would shift upward, then with the presence of the light, there would be a reduction. So, the line on the graph shows, a slight upward drift, with downward reductions to Redox each day. A slight up-shift, with reductions each day due to light reduction. So, what can’t be explained is why on some of the days, when no variables were changed, the lighting caused a oxidation affect on the water and not reduction. There’s no explanation as to what could cause this. It could simply be a meter issue. So the reading were still noted for later exploration. This is also our findings for 6500K lighting from one brand only.Further research could be done on specific lighting nanometers to see how different light can affect Redox. Some nanometers may cause reduction, when other causes would case oxidation. Knowing each would also to use light depending on what is happening with the tank. Like having oxidizing light, when there was an over feeding of the aquarium. These different nano meters still have to be explored. 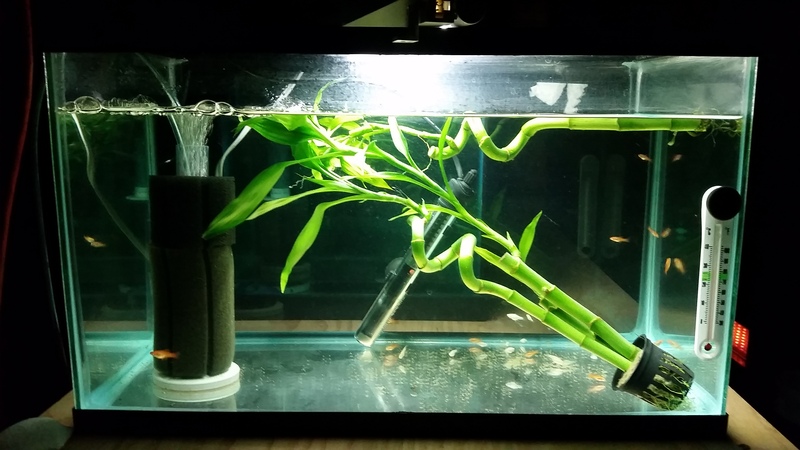 Aquarium keeping is getting more technical, but there are some good options for low tech tank keepers. Cheap and easy option most people don’t know about. T-2 Florescent lighting. No not T-12/T-8/T-5. Watt per Watt, T-2s have more Lumans than the other Florescent lighting. Great for plants, corals, or just appeal. Broken Aquarium had a request for a how to video for the SunSun Internal UV-C Pump/Filter. 609-613 version. My sponsors over at AAP, where kind enough to throw one together for us! Thanks Steven! Need more UV-C for sterilization? Here’s an example of how to upgrade both the UV bulb, ballast, and starter in the TMC Advantage UV. This works for upgrade for claifiers, which have a magnetic ballast. Most smaller units under 100 watts are magnetic.